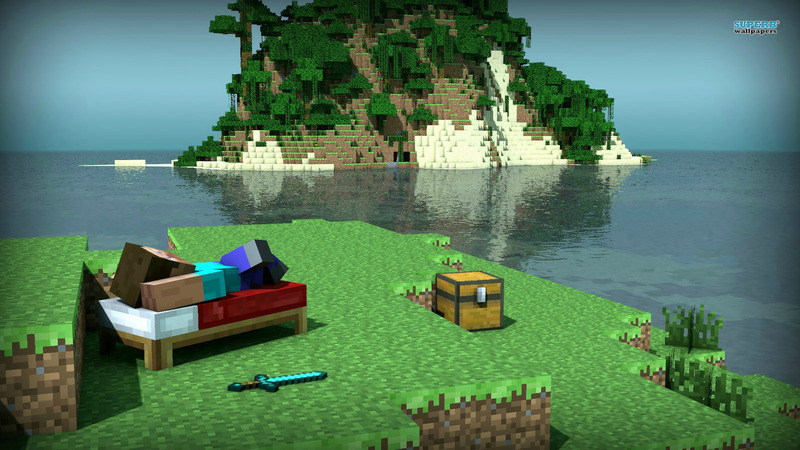 Minecraft. . HD Wallpaper and background images in the Video Games club tagged: photo minecraft. This Video Games wallpaper contains resort, resort hotel, and holiday resort. There might also be resort hotel, spa, lakeside, lakeshore, and beach house.